Black Renault, manufactured in 2008, first registered on 1 March 2008. Cylinder capacity: 1149cc, CO2 emissions: 137 g/km. 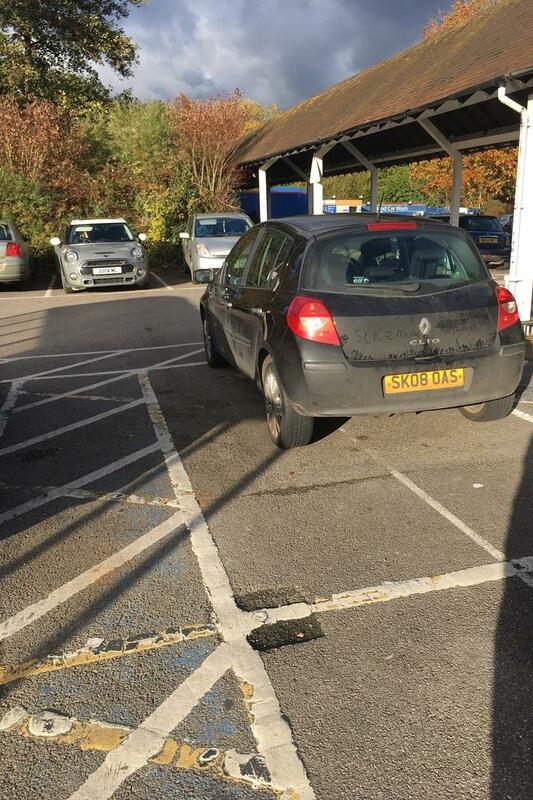 Too lazy to use the correct parking bays, and too lazy to wash their car as well by the looks of it. 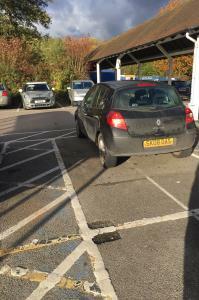 Parked in a disabled bay at Tesco Abingdon on Sunday with no blue badge displayed. Baby seat occupying front seat so I suspect the prat mistook it for a parent / brat space. Dickhead.